Welcome to Rocco’s European Garage — East Cobb! Since opening our shop in 2012, Rocco’s European Garage has provided the high-quality auto care experience our community has become accustomed to. Family owned and operated, we make sure that your vehicle is always performing at its peak! One of the reasons why Rocco’s has become East Cobb’s go-to vehicle support team is because of the quality of our services and our meticulous approach to auto care. We make sure that no stone is unturned during a service, and we have a true eye for detail. It’s why we’ve been serving motorists all over Marietta for over a decade, and we can’t wait to help you too! Our facility comes equipped with five state-of-the-art vehicle bays and is available to all makes and models, with a specialization in European vehicles such as BMW, Audi, and Volkswagen. Our services, which are backed by our 12 Month / 12,000 Mile warranty, include but are not limited to general repair, preventative maintenance, brake repairs, engine light diagnostics, exhaust system repairs, steering and suspension service! We happily provide free shuttle service and offer after hours drop-off and pick-up in case you are on a busy schedule during service. If you have time to relax, we invite you to spend it with us! Alongside our comfortable, wifi-equipped waiting room, many of our staff members are car enthusiasts and love to talk shop! We also provide status updates via email, text, video, or picture, so you always know what’s going on with your vehicle! At Rocco’s European Garage, we don’t just take pride in the quality of our services and our full suite of services. We’re also proud of the staff that we’ve employed within our facility, as we believe they are some of the top automotive professionals in the area and industry. You’ll notice this as soon as you walk in, as our service advisors are ready to greet and help you. Utilizing their comprehensive understanding of our business and service, they take the time to listen to your concerns and evaluate your vehicle so they can craft a service plan that is customized just you. Once that plan is drawn up and approved by you, it’s passed over to our ASE Certified technicians, who utilize OE parts and their extensive experience to perform the service plan with the precision and quality you expect from us. By the time you drive away from our shop, you’ll be driving a vehicle that is truly performing at its best! 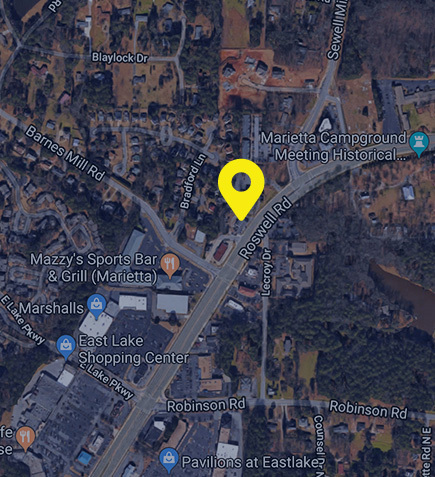 Whether your vehicle is in need of major repair or simple maintenance service, Rocco’s European Garage in Marietta, Georgia is here to help you. 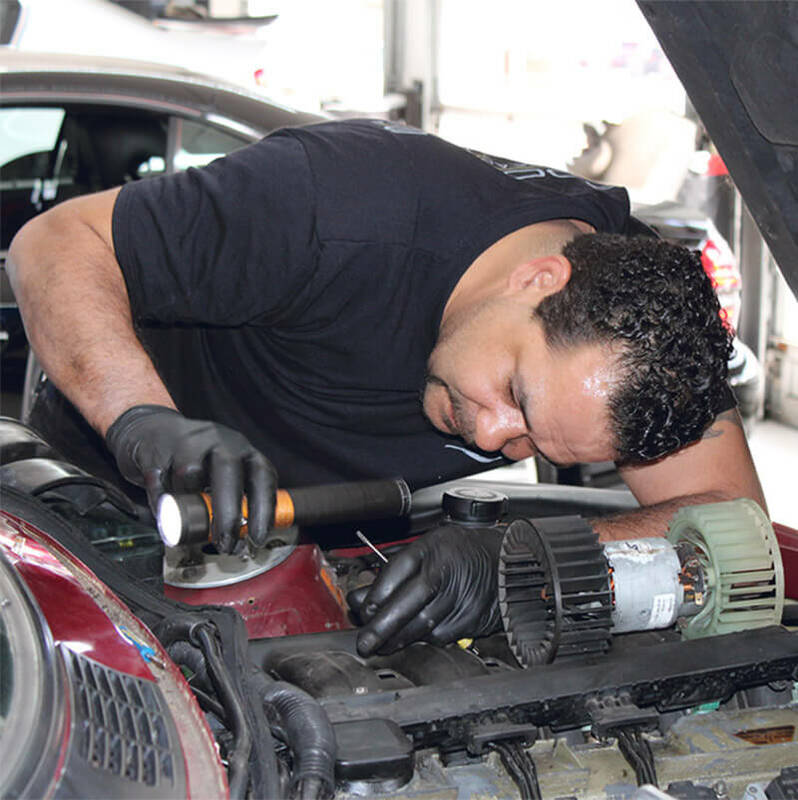 Our state-of-the-art facility comes equipped with the latest resources and top professionals in the industry to handle any issue your vehicle may experience. You deserve a high-performing vehicle, and we make sure you get just that. Give us a call at 770-795-7575 to schedule a visit with us today! Have a hard time making an appointment? Just visit us at your convenience, as we happily accept walk-in customers! Our East Cobb shop is located on 2245 Roswell Road, just up the road from Park Plaza! Our team is anxiously awaiting your phone call or your arrival to our shop. Whether you’re behind the wheel of a Volkswagen or a Maserati, we treat you and your vehicle with the same commitment to excellence. Excellence is all we know, and it’s all your vehicle will “know” at Rocco’s European Garage. Pay attention to your vehicle’s early warning signs and act fast. Responsible European import drivers get the biggest return on their investment in quality road travel. It doesn’t hurt that they leave their vehicle in our hands. Give us a call today at our Roswell Road location--770-509-5124--to schedule your next import repair or service appointment. You can save time by using our convenient online scheduling system right now. We gladly accept all of our walk-in customers!